Place the rest of the ingredients in food processor and blend until smooth. Pour over zucchini and serve. Store refrigerated in airtight container for up to a week. 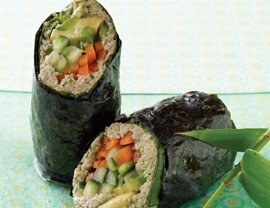 Ideas for use: Top a salad with the pâté or spread onto a sheet of nori then top with veggies to make raw nori rolls. You can even dehydrate into little patties for a satisfying protein snack that is portable and convenient! Combine ingredients in a high speed blender. Blend until smooth and slightly warm. Use a large spoon to scoop off foam. Pour into four bowls. Will keep in refrigerator for about 3 days in an air tight container. Place the first six ingredients in a high speed blender and blend until smooth. Add more water if necessary. 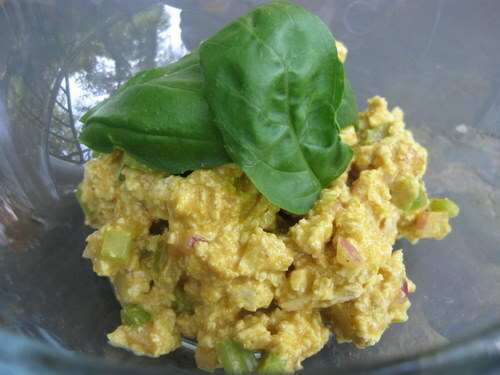 Place mixture in a bowl along with last 3 ingredients and mix well. Serve on a bed of lettuce. Will last refrigerated in an airtight container for up to 5 days. Combine all crust ingredients in a food processor and pulse until finely ground. Divide mixture into 4 coconut oil greased miniature tartlet pans with removable bottoms, pressing firmly and evenly into pans to create a thin crust. If the mixture sticks to your fingers, dip them in water. Place the tart pans on a mesh-lined dehydrator tray and dehydrate for 8-10 hours or overnight. Carefully remove the crusts from the tart pans, place back on mesh-lined dehydrator trays, and dehydrate for 1 to 2 hours or completely dry. For the filling, combine the zucchini and cashews in a high speed blender or food processor and blend until completely smooth. Transfer mixture to a medium bowl and set it aside. Combine all remaining filling ingredients in a food processor and pulse several times, until the cauliflower is in small pieces and the spinach and cilantro are roughly chopped. Transfer mixture into bowl with zucchini-cashew mixture, and mix well with a spatula to combine. Divide the filling between the four prepared crusts slightly overfilling the crusts which will shrink a bit when dehydrating. Place the tartlets back in the dehydrator for another 6 to 8 hours or until dry on top. To make the chutney, toss tomato, bell pepper, ginger and salt together in a small bowl. 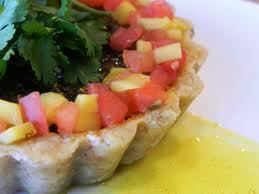 Garnish the top of each tart with a spoonful of chutney before serving. Serve warm or at room temperature. Per serving: 358 calories, 28.1g healthy fat, 21.6g carbs, 7g fiber, 11.7g protein. Options, substitute macadamias with almonds, flax with chia, zucchini with yellow squash, miso with ½ tsp sea salt, bell pepper with mango. Add more water to create the thickness you like. Add toppings for texture like sprouts, sprouted sunflower seeds, extra peas, avocado, Udo’s oil, etc. Crust: Process nuts in food processor with “S” blade until finely ground. Add remaining ingredients for crust and mix well. Heavily coat tart pans with coconut oil. 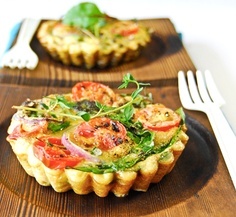 Press into 4 small or 1 large tart pan OR form tartlets by hand and dehydrate for 2 hours at 145o. Drop temperature to 110o for another few hours until the crust can be easily removed from tart pans. Continue to dehydrate for another 4 hours until the tarts can be lifted gently without breaking. Filling: Marinade the mushrooms in the Braggs, Tamari or Cocominos for about 10 minutes and drain off liquid. In a high speed blender mix cashews, lemon, nutritional yeast and salt. Add 1/2 cup or more of water to achieve a thick cheeze sauce and pour onto a mixing bowl. Process zucchini, tamari, onion, dill, and garlic in the food processor until smooth and add to the bowl with cheeze sauce. Coarsely chop spinach and add to bowl of cheeze sauce. Mix marinated mushrooms in last. 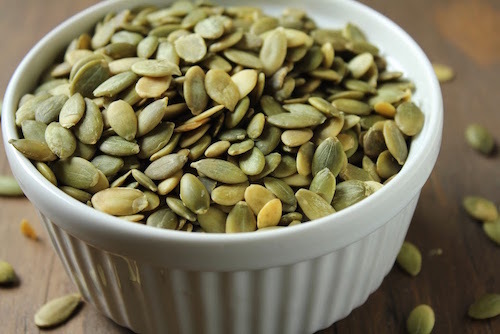 Sprinkle pine nuts on the bottom of each crust then pour in filling. Garnish the top with sliced mushrooms and place in dehydrator at 105o for 24 hours until the centers have set. You can use a tooth pick to test. 1. Cut the stems off the peppers, cut in half, and remove the seeds. 2. Add remaining ingredients in the Vitamix blender container starting with wet ingredients, add cashews last. 3. Blend, starting on low speed and gradually increasing the speed adding enough water to keep the ingredients moving yet keep the cheese thick. You may need to use the Vitamix tamper to keep the thick cheese pressed into the blade. 4. 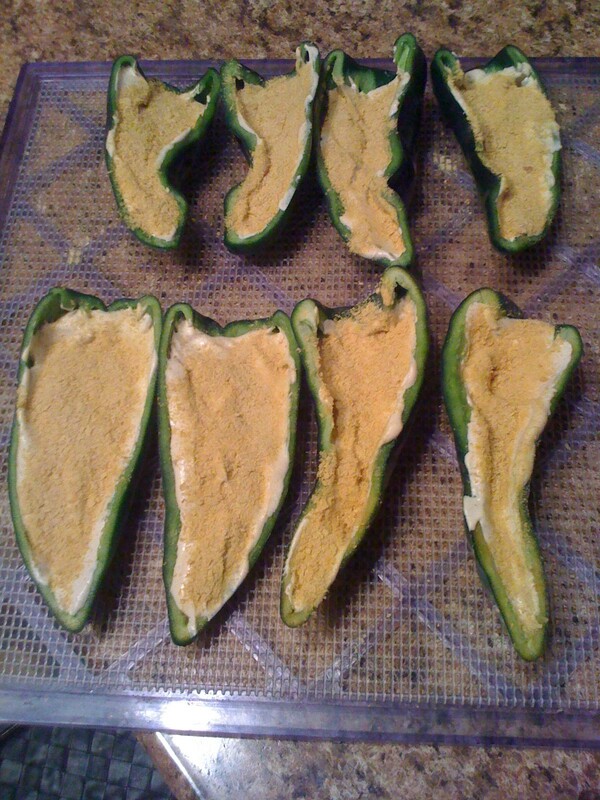 Stuff the cheese into the pepper halves, place on dehydrator tray with mesh liner. 6. Dehydrate at 110o until the peppers are soft similar to the results of cooking, about 12 hours depending on the climate you are in. If it’s humid it may take longer. Soak seaweed in the 5 cups of water for 15 to 20 minutes. Use 3 cups of the soak water and ingredients 3-6. Add to blender and blend until warm. Pour into serving dishes and add seaweed to garnish. Store in refrigerator without seaweed in airtight container for about 5 days. Warm up by blending or using the dehydrator at 145 degrees for 30 minutes. 1. 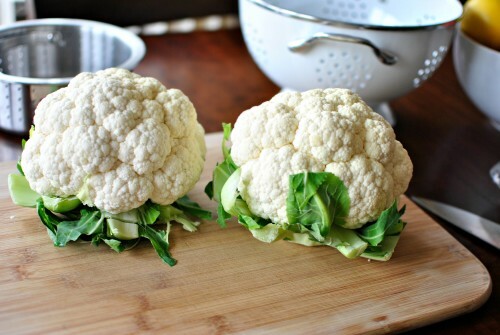 In the food processor, chop cauliflower until grainy. 2. In food processor, blend walnut pate ingredients until smooth. 3. On a nori sheet, place a thin layer of cauliflower several inches from the top of the nori sheet. Next spread some pate on nori about mid-sheet. Lastly, lay some cucumber, carrot and avocado on top of the cauliflower and pate. 4. Gently but firmly begin to roll the nori wetting the end to seal. Using a sharp knife, cut into inch-thick slices. 5. To make wasabi sauce simply mix Coconut Aminos with Wasabi powder to your taste. 2. Lasts for several weeks in glass jar refrigerated. Garnish with chopped mushrooms and minced green onion. For thicker soup, add ground flax. Blend garnish in and use as a gravy or sauce. Will last refrigerated for about 5 days. Serves 4. Crust: Process nuts in food processor with “S” blade until finely ground. Add remaining ingredients for crust and mix well. Press into pie plate and dehydrate for 2 hours at 145 degrees. Filling: Mix all ingredients except ground flax in the food processor. Add flax, mix quickly, and pour on top of crust. 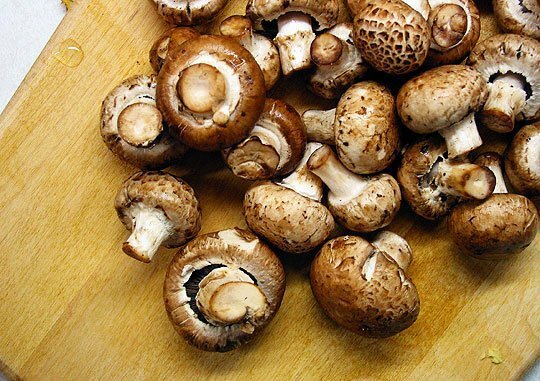 Garnish the top with sliced mushrooms and place in dehydrator at 105 degrees for 4 hours. 1. Grind cashews, pumpkin seeds, and brazil nuts until fine in food processor. 2. Add celery, scallions and sage and blend until smooth. 3. Place mixture on a large plate forming a loaf and dehydrate at 145 degrees for 2 hours. 4. Blend cranberries, adding honey to taste, in Vitamix until smooth. 5. Spread cranberry sauce over warm loaf just before serving. 1. Blend all ingredients in food processor until smooth. 2. Serve warm with gravy. Put ingredients 1-5 in food processor. With machine running, drizzle water one tablespoon at a time through the hole to create a creamy, rich gravy. Add last 3 ingredients. Cover and refrigerate for up to 2 days. 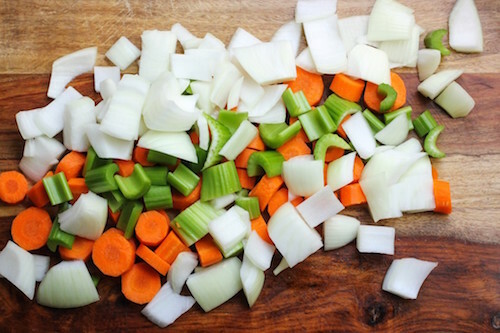 Coarsely chop carrots, onion, and celery in food processor. Transfer to a large bowl and mix in the remaining ingredients. The mixture should be crumbly and moist but not wet. Spread mixture onto a Teflex sheet about ½ inch thick. Dehydrate at 145 degrees for 1-2 hours then 105 degrees for another 6-8 hours or until the stuffing reaches the desired consistency. Serve warm or cover and refrigerate for up to 3 days.